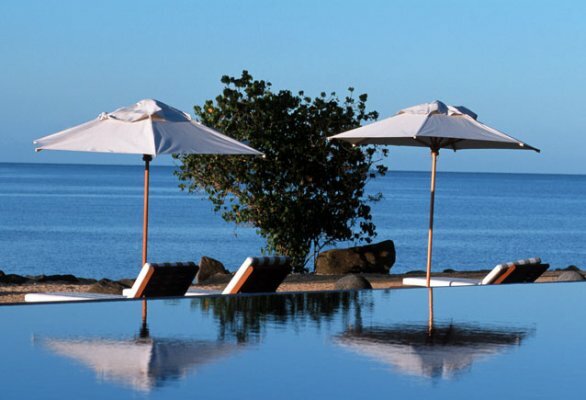 The idyllic island of Mauritius with its unspoilt beaches and azure waters offers a unique experience of European, African and Asian cultures. 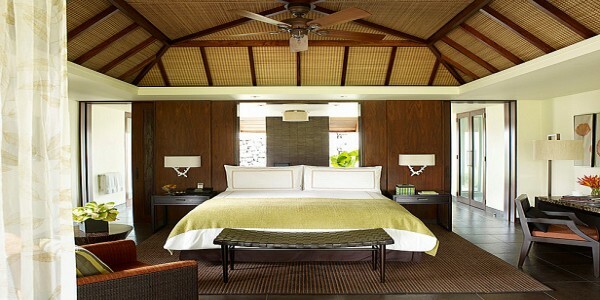 The Oberoi captures the spirit of the island in a resort that combines its abundant natural beauty with refined luxury. The Oberoi is a fantastic resort hotel located in 20 acres of beautiful sub-tropical gardens overlooking the 600 meter oceanfront, spanning three crescents of white sand between the mountains and the turquoise water of the Indian Ocean on the protected west coast of the island. The hotel is 15 km away from the capital city of Port Louis and near the buzzing small town of Grand Baie. 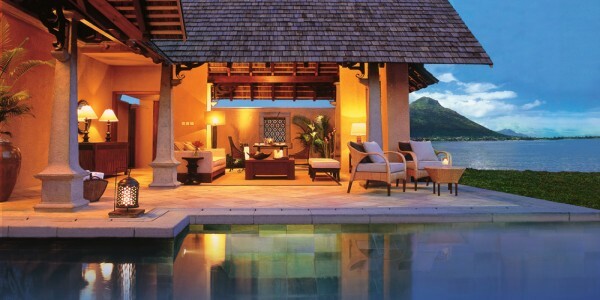 With only 72 luxurious villas and pavilions, a sense of exclusivity and style prevails. 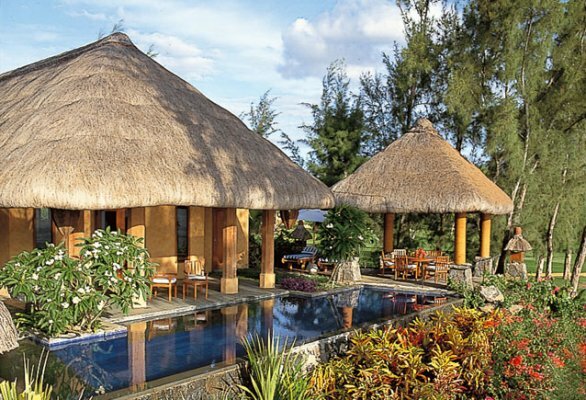 Each villa is located in a private garden, providing undisturbed privacy, some of which contain their own pool. The pavilions are equally luxurious, with spacious bedrooms including a generous sitting area and a marble bathroom with a sunken bath. The raised open-air dining pavilion, with its palm-thatched roof timbers and natural teak furniture, is an invitation to an al fresco breakfast or romantic dinner. There is also an outdoor terrace for private dining and relaxation. Other facilities in the resort include the quality spa which provides a serene and truly unforgettable experience of pure pampering and relaxation in exquisitely beautiful surroundings, using holistic therapies and massages which combine the very best of Eastern and Western practices. The highly skilled therapists are experts in the use of Western & traditional Eastern techniques. There is every day access to the steam bath and sauna for further relaxation. 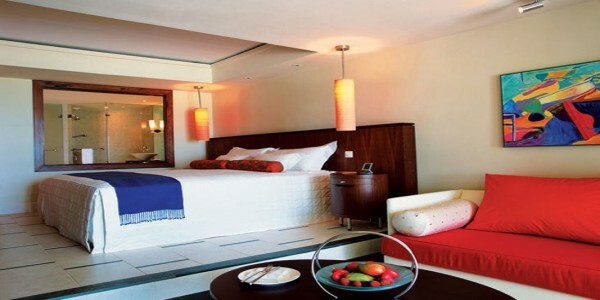 For the more active guests the Oberoi has flood lit tennis courts, a swimming pool and a fully equipped gymnasium as well as offering water sports such as windsurfing, water-skiing, scuba diving and deep sea fishing. Guests can also partake in “Touching the Senses” activities ranging from painting lessons with a local artist to guided walks through the gardens to learn about the plant and bird life. Sculpture class, star gazing, cooking classes and wine tasting sessions are just some of the exciting and romantic activities on offer. There is a kid’s club with daily, age-related activities to keep the younger guests entertained. 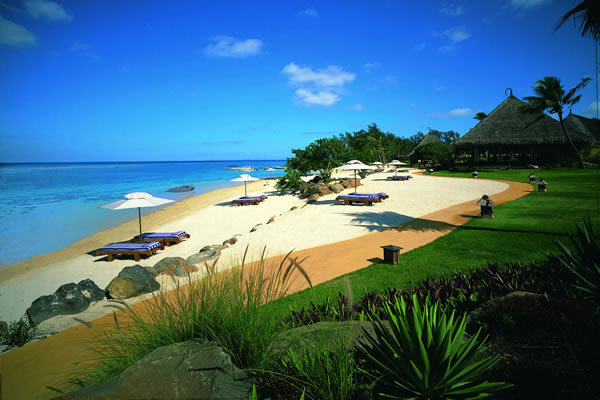 While the sun, sand and ocean breeze soothe the spirit, treat your body to a session of revitalisation and relaxation. 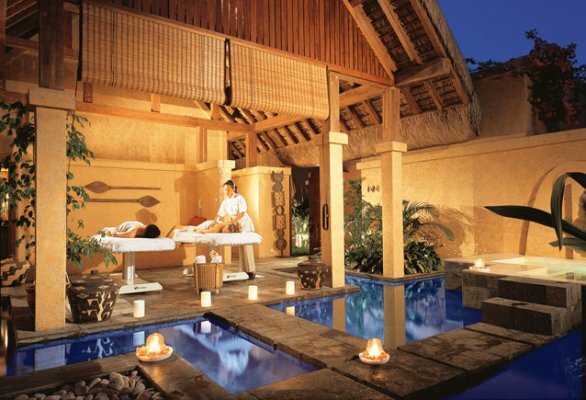 Get pampered by Indonesian trained therapists in exquisitely appointed Spa Suites surrounded by lush sub-tropical gardens. Holistic treatments drawn from Ayurveda, Aromatherapy and Eastern techniques combine with exotic beauty treatments to reenergise you from within and without. The azure waters of the Indian Ocean sparkle in inspiration as you restore the inner balance of the body with sessions of yoga and meditation. 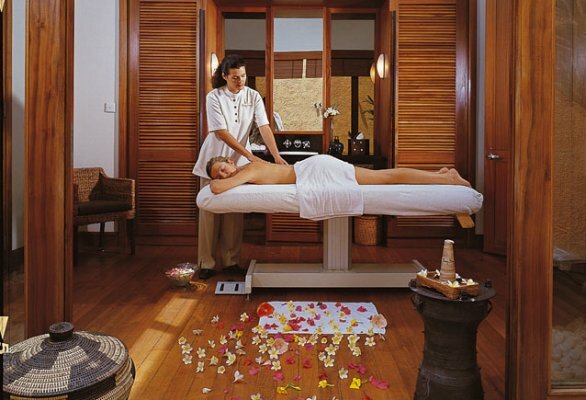 Begin your journey of transformation at the Oberoi Spa. Our state of the art gym is fully equipped to burn off any excess calories. Whilst the opportunities for swimming abound here. 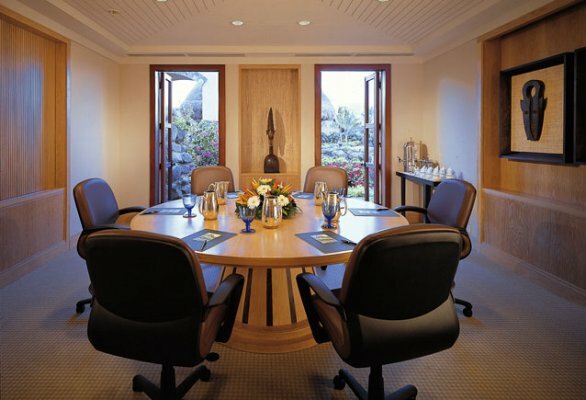 The Oberoi Mauritius offers exclusive banquet and private meeting rooms with state of the art audiovisual facilities for select business gatherings, board meetings and seminars. A fully equipped business centre and quietly efficient staff will help ensure the smooth operation of your business meeting. Every guest Villa and Pavilion has a direct dial telephone with dataport (four lines). At the end of a productive day’s work, delegates will appreciate relaxing in Oberoi Spa, on the tennis courts or in one of the swimming pools. A wide range of watersports is offered at the resort, and there is a diving centre (PADI certified) on the resort. 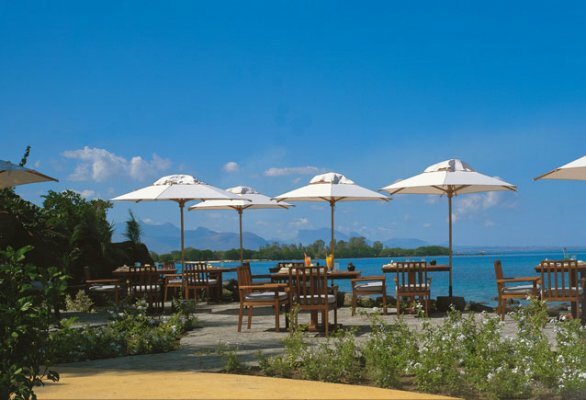 The Oberoi Mauritius offers a children’s club for children from 4 – 13 yrs, which includes a soft play area, fenced play area outside,and a daily programme of activities. Babysitting facilities available at an additional charge. 48 Luxury Pavilions, 5 Luxury Villas with private gardens, 16 Luxury Villas with private swimming pools and 2 Royal Villas with private swimming pools. Every room features a romantic four-poster bed. Wooden slatted ceilings and wall-to-wall restful neutral tones contribute to a feeling of relaxed grandeur. 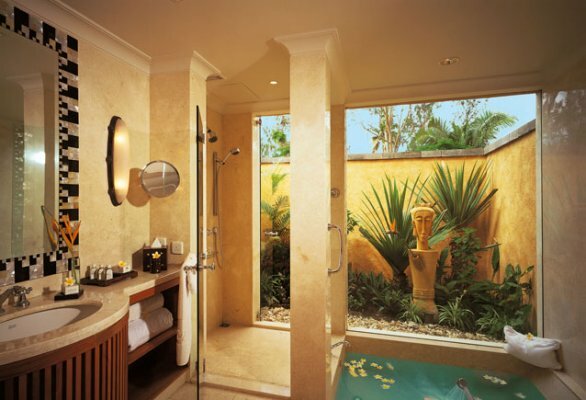 Each bathroom has a separate shower stall and a sunken bath in palest marble overlooking an open-air walled garden. The hotel Villas, each with its own lush gardens and dining gazebo, most of them overlooking a private swimming pool with, views of the sea make an exclusive and luxurious retreat for those seeking privacy. 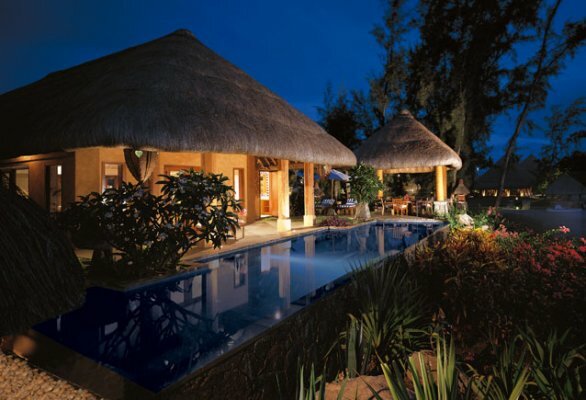 This air-conditioned thatched Luxury Pavilion includes a spacious bedroom and sitting area with a choice of either a king-size bed or hollywood twin beds. Each Pavilion has a spacious terrace for private dining and overlooks the gardens and the Indian Ocean. Set within a walled sub-tropical garden, it has an open air-dining pavilion also set amidst a lush garden, where one can enjoy al-fresco dining. 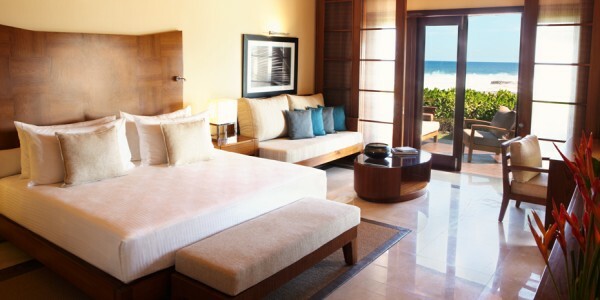 Elegant interiors and uninterrupted ocean views make the Royal Villas exclusive retreats. Located within a lush tropical garden of over 650 square meters, it has an elegantly appointed living room overlooking a 55 square meter private pool and the Indian Ocean. 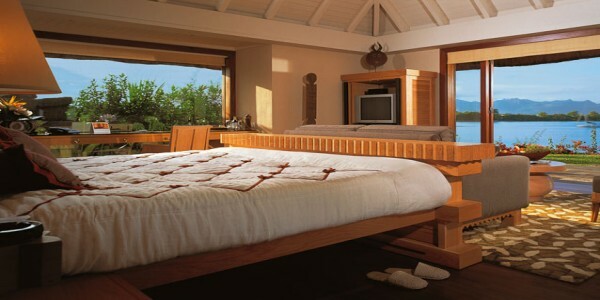 It has a separate bedroom which offers breathtaking views of the Sea. 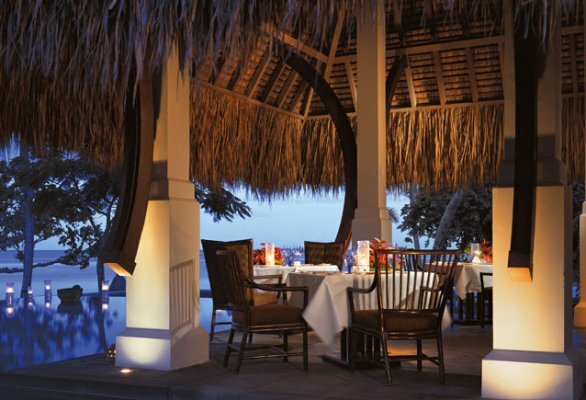 It also has an open air thatched dining pavilion providing the ideal setting for al-fresco dining. 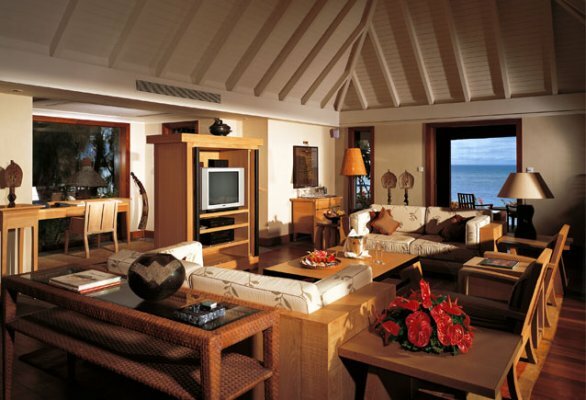 The Royal Villa comes with an option of either an adjacent Luxury Villa with garden or an adjacent Luxury Pavilion. 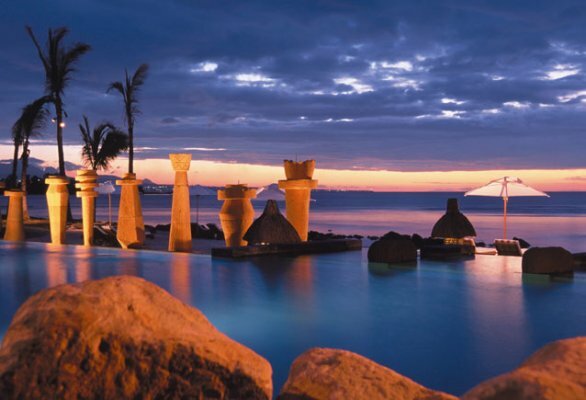 The restaurant at The Oberoi, Mauritius features a soaring roof of palm-thatched timbers and panoramic views across the Indian Ocean. 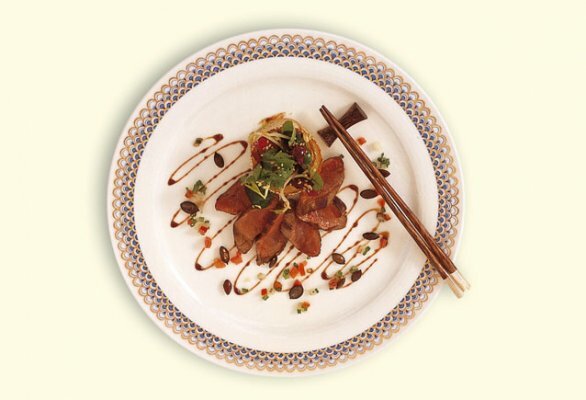 Dine inside among the pillars, or outside under the stars on a fabulous menu featuring European, Oriental and Creole dishes, reflecting the multicultural flavour of the island and introducing fresh local fruits, vegetables and spices. With exotic flowers, candles flickering on the surface of the pool, the strange evening song of the frogs and the spectacular sunsets, you could be forgiven for thinking you had gone to heaven. Dress Code: At the Bar and The Restaurant, our dress code during the day is casual and for the evening it is smart casual. Gentlemen are kindly requested to wear in the evening long trousers and shirts with sleeves. Shorts and swimwear may not be worn in the Restaurant or Bar after 6.00 p.m. 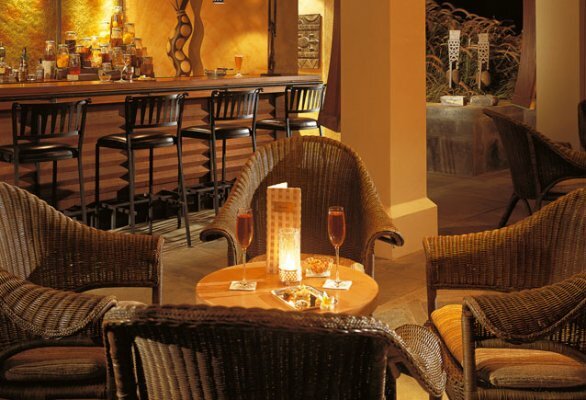 It offers a selection of wine, spirits and cigars. 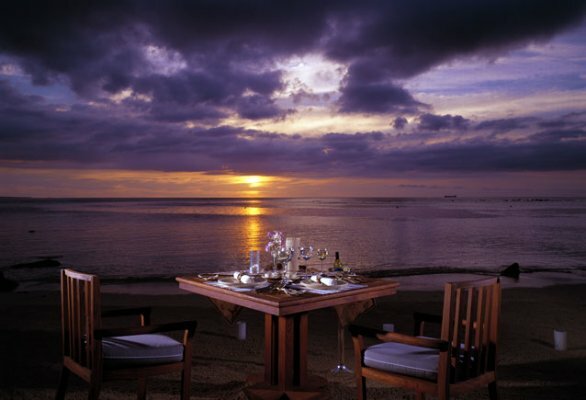 Offers breath taking view of the Indian Ocean. It offers light salads, pasta, pizzas and sandwiches.